It's going to be a short week, but I think I can accomplish the majority of these projects over the next couple days. Now, in contest news! 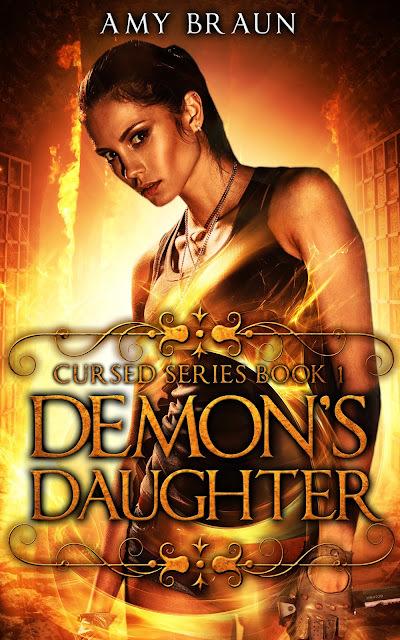 Some of you may have heard that I was fortunate enough to have reviewing blog One Book Two read and review Demon's Daughter. I'm super happy to also have that book as a prime feature on their blog as part of their first giveaway contest! One lucky winner will get a signed copy of Demon's Daughter to enjoy and brag about. The contest ends on September 13, so get your entries in now! And that's all for now! I've got a lot to do in the next little while and it seems like it's all catching up to me now. I understand why authors who work with publishing companies get stressed about deadlines. Good thing I'm independent and only have the ones I make for myself! Anyway, I hope you enjoy your week and that those of you in Canada have a great long weekend. I know I will! Cheers!